I've recently been rekindling my love for nail polish and my collection has grown exponentially of late. Today I have some pretties from new kid on the block, Jacava London to show you. 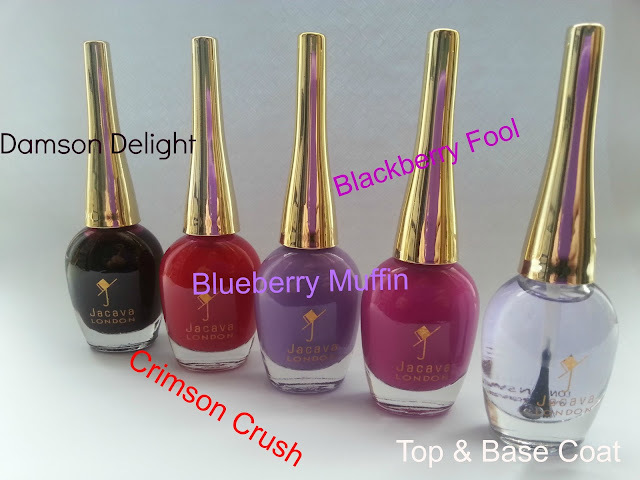 As always, every bottle of Jacava polish is 8-Free, has a long, classy gold-coloured cap and a 22-Carat gold logo stamped on the bottle. Very posh! 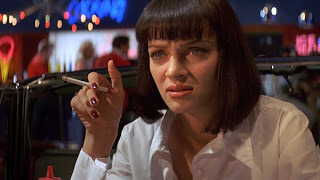 You may or may not have heard about 3-free polishes (brands such as OPI and Essie don't contain Dibutyl Phthalate, Toluene or Formaldehyde, which are considered toxic) and 5-free polishes (the likes of Chanel and Dior are also free of Formaldehyde Resin and Camphor, which research has also proved risky). Well, Jacava take this even further by ensuring that all of their polishes are free from eight key nail varnish downfalls: there's no Formaldehyde, Camphor, Toluene, DBP, Collophane, Phthalates or Animal Testing. 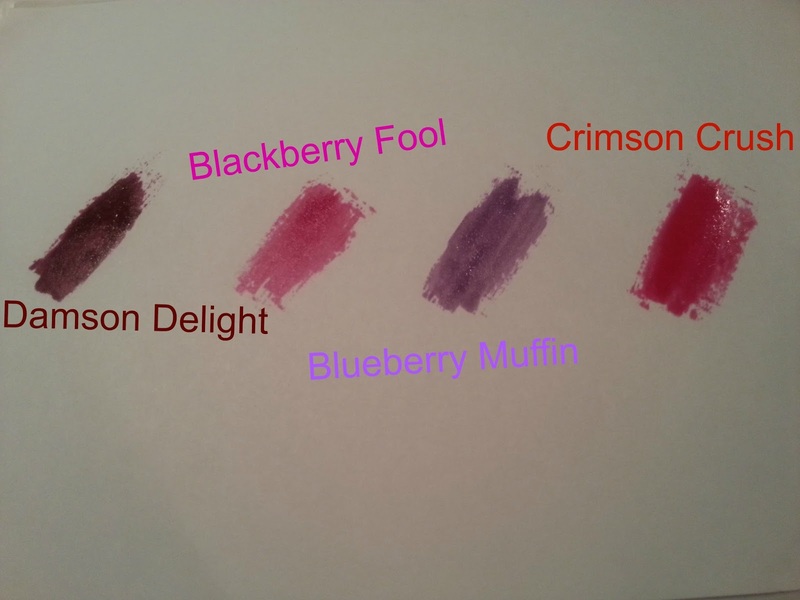 Full "Menu" selection of available shades - with delightfully delicious names! Jacava's packaging is pretty impressive. The bottles are a good size and feel sturdy, so there's little risk of smashes or cracks. 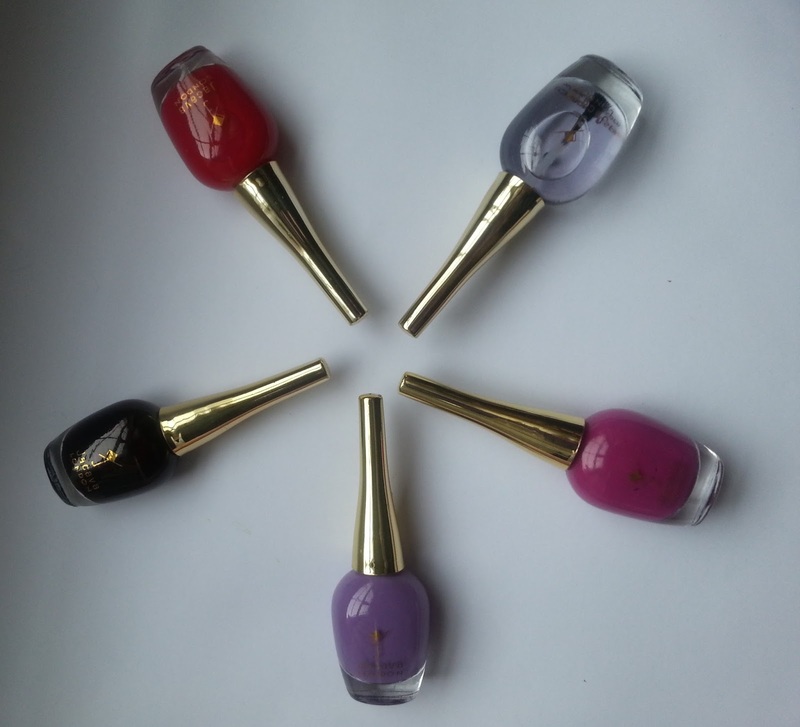 The lids are long and smooth, and easy to grip, and the brushes also appear to be long enough to touch the bottom of the bottle. It's nice to the touch and feels ergonomically designed. If I had to name a downside (and this would be nitpicking really!) it would be the height of the bottle itself - It may not fit your Helmers girls! A good base coat is essential for reducing staining to the nail, creating a protective base layer.Also contains UV inhibitors which keep white nail polish, white for longer. I have to say that I was actually pleasantly surprised and mightily impressed by the Top & Base Coat with UV Inhibitors. 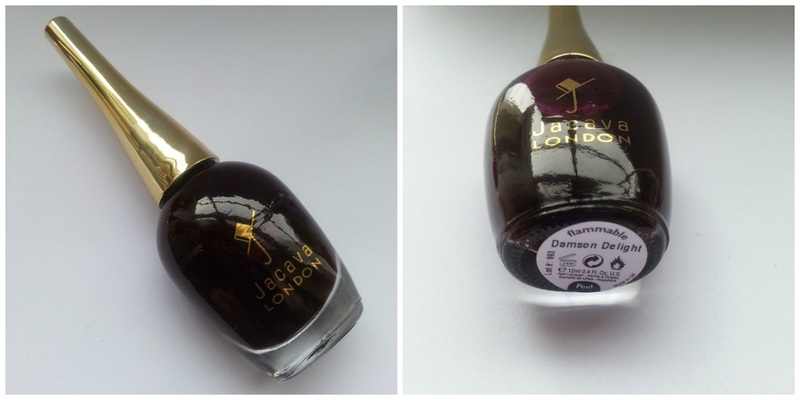 I applied it as a base before applying the dark and intense Damson Delight so I wouldn't end up with any staining, and to my delight I could see how it brightened my nails instantly. The clear nail polish has a very slight blue hue to it which counteracts any yellowness in the nails and makes them appear super sparkly white. I ended up wearing just this on its own for 3 days I was so pleased with the results - in my eyes it was almost an instant French Manicure. Delighted with this! 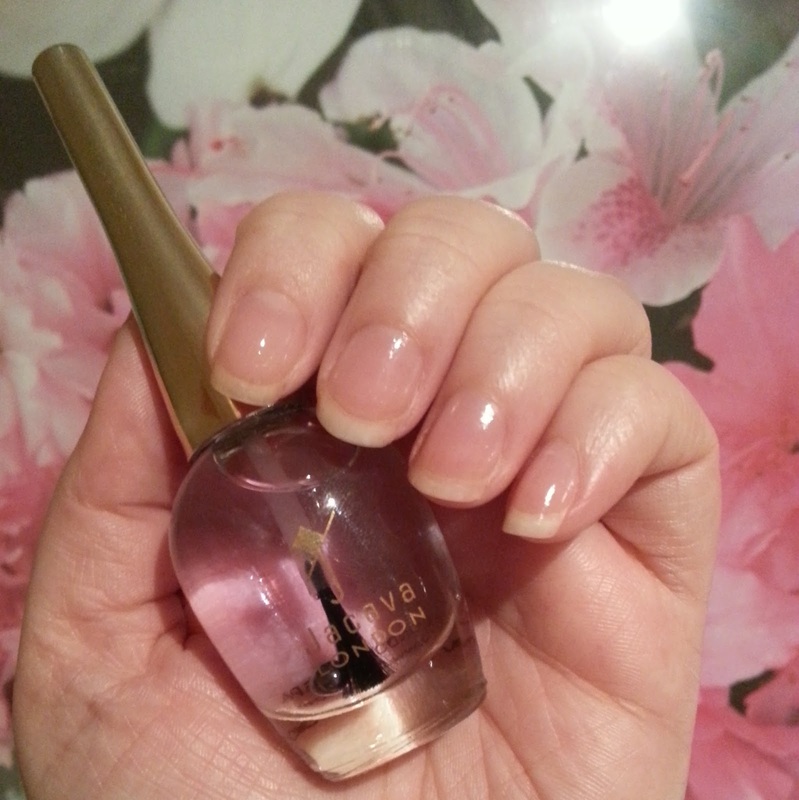 It's also a handy multi-tasker in that it can be used as a Top & Base coat. 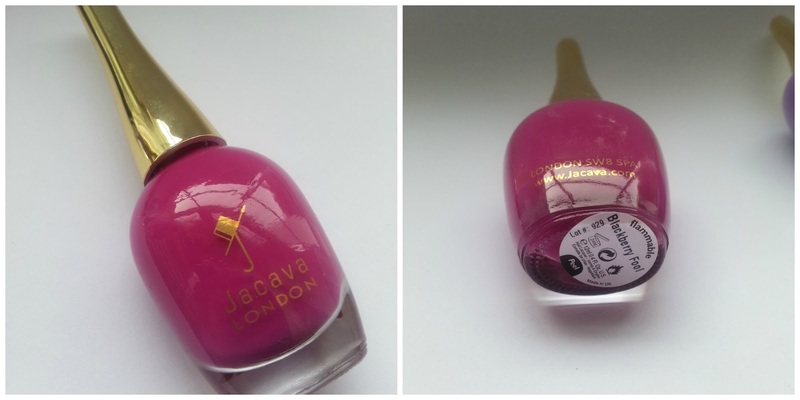 A full bodied blackberry mousse coloured nail polish. 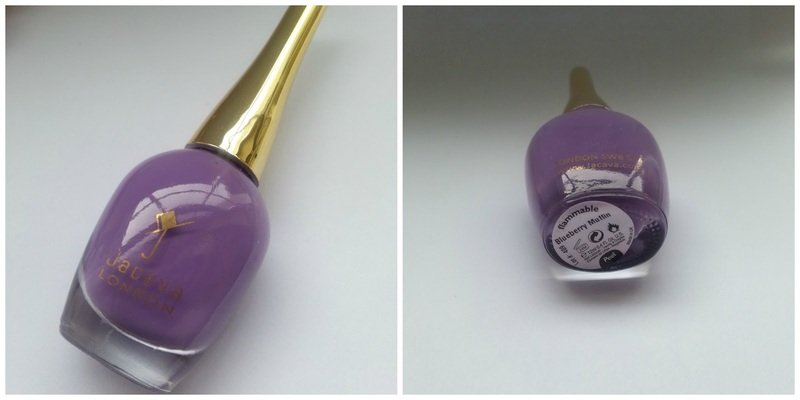 A rich and exuberant berry treat for the nails. Blackberry Fool is a lovely rich purple/pink shade, part of the Summer Exuberance collection. Goes on smooth and glossy and is opaque in just 2 coats. 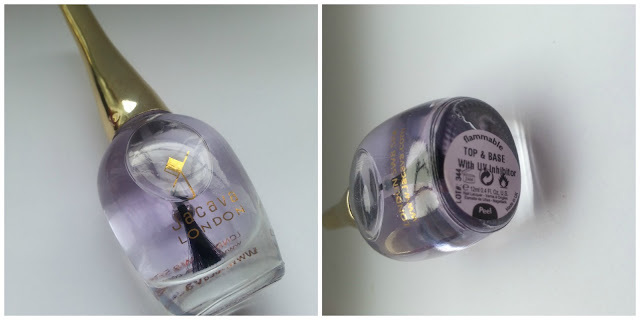 A delectable lilac purple coloured nail polish. I instantly fell in love with the name of this shade before I even received the polish - Blueberry Muffin - yum! A gorgeous pastel purple shade along the lines of Heather. Just lovely. 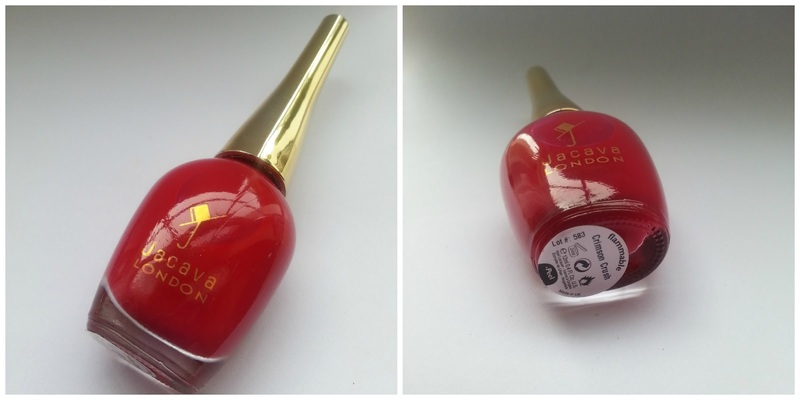 A bright and exotic cherry red glossy nail varnish. Crimson Crush - Jacava's best selling summer shade which is no surprise given its bright cherry red shade. A lovely vibrant cherry red with a pinkish undertone. Creme formula, no sparkle. Damson Delight - My pick of the bunch! Ok, so they're not cheap but for a luxury brand, the fact they're 8-Free and given their no-fuss, easy peasy application and smooth creme formulas I think they represent value for money.